What will shopping centers in Germany look like in 2025? The number of factors determining the future and their complexity lead to a high degree of uncertainty. Strategic planning under such circumstances is challenging. Niklas Mittag’s HHL master thesis will provide orientation; it aims at developing four different scenarios for the future of shopping centers in Germany in 2025 and deriving strategic measures for a shopping center operator based on these scenarios. To achieve this goal, a standardized approach of scenario-based strategic planning is applied. 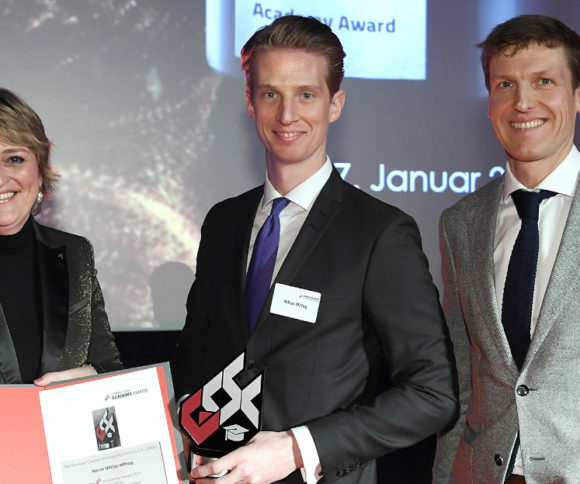 With his study, Niklas Mittag has now won one of two Academy Awards 2019 of the GCSC for outstanding scientific work in the field of real estate. His work was supervised by Jun.-Prof. Dr. Erik Maier, Retail and Multi-Channel Management. Niklas Mittag is an investment associate and former center manager at ECE Real Estate Partners G.m.b.H. His employer supported him “in all facets” with his career plans towards investment and in his part-time MBA studies at the Cologne location of HHL. The strategic measures developed are accordingly aimed at maximizing positive developments with regard to the key factors and minimizing possible negative developments. The thesis is worth reading especially for retailers, real estate investors and researchers with a consumer focus. The pdf can be downloaded free of charge, in English. The German Council of Shopping Centers e.V. (GCSC) is the only association in Germany representing the interests of retail property owners – more than 730 member companies from the areas of development and analysis, financing, centre management, architecture, retail properties, retailers and marketing specialists. With round 1 million employees and directly affected service providers, the GCSC member companies represent a nationally important business branch. In 2019, the GCSC again presented an Academy Award for master’s theses in the field of retail real estate, endowed with 2,500 euros and a ticket to the German Council Congress. The submitted theses were evaluated by a jury of experts. The award for the winner of the Academy Award 2019 took place on Jan 17, 2019, in Frankfurt/Main during the GCSC New Year’s Reception and the European Retail Innovation Prize ceremony. Academic Award winner Niklas Mittag, HHL Student pt-MBA; Investment Associate at ECE Real Estate Partners G.m.b.H.